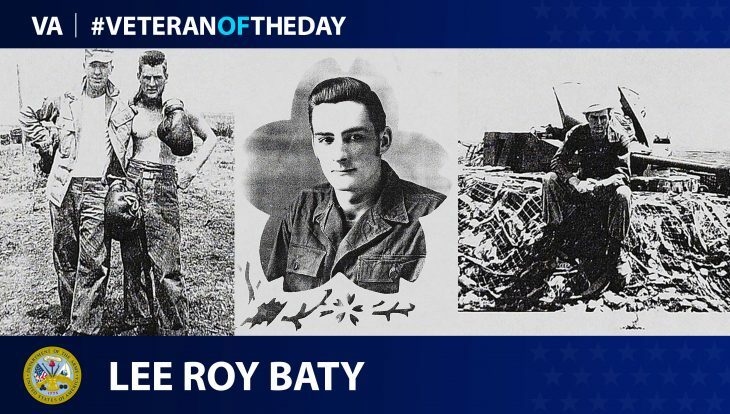 Today’s #VeteranOfTheDay is Army Veteran Lee Roy Baty. Lee served during the Korean War from 1949 to 1952. Lee was born in Texas in 1930. Following his graduation from high school in 1949, Lee decided to convince a few friends of his to leave their small town and join the army together. He and his colleagues finished their armed forces field test at Fort Bliss, Texas on April 1 and were scheduled for two weeks leave when the Korean War broke out on June 25, 1950. His battalion then made the two-week journey to Japan. There they trained for eighteen days on new weapons including the M-19, a full tank with twin Cadillac engines. Lee was also present for the Battle of the Chosin Reservoir, which he called the worst battle of the Korean War. The Battle was part of the Chinese Second Offensive in late 1950 that failed to accomplish their goal of destroying the 1st Marine Division. Still, Lee described Chinese soldiers coming “by the thousands, the hundreds of thousands and they during the day would stay hid and at night they would come out and fight, which was the name of the war, that’s the way it was.” The weather turned severe during this time of the war with temperatures plummeting to 20 to 30 degrees below zero and the muddy roads becoming unsuitable for travel. Many casualties were a result of freezing to death or frostbite according to Lee and their weapons “would not operate good or sometimes at all because of the cold weather, snow and ice would get on them.” Lee returned home from North Korea in 1952. In his retirement, Lee serves as the president of a Korean Veterans Organization in Tyler, Texas. Members of the Veterans Organization visit schools and educate students about the Korean War. Thank you for your service, Lee!